My lips hurt… owwww. Another one of my sensitivities affects my lips and they can swell up so much I look like Lesley Ash on a bad day. The fallout of this is the fact that when the swelling finally goes down I’m left with very sore, very dry and chapped lips which look u.g.l.y. 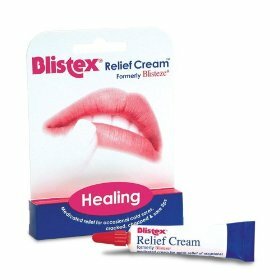 I’ve tried a million and one different products to help ease the pain and uncomfort and most of them make the situation worse… they either just create a superficial film which coats your lips and prevents anything getting in or out (but what good is that?!) or they moisturise for about 2mins and then you need to slap on some more.